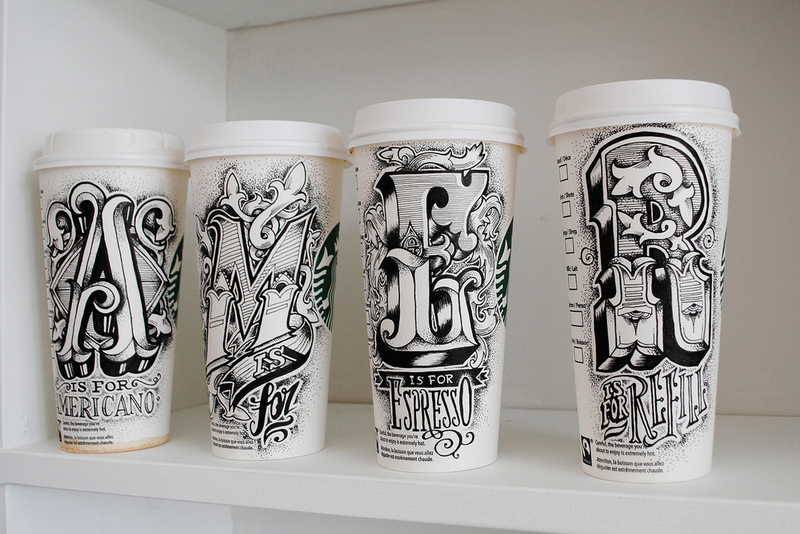 An ongoing project of hand drawing lettering onto discarded, everyday objects, this time onto disposable coffee cups. These are constantly updated and newest pieces are added to my Tumblr, Instagram, & Twitter accounts. Similar to other projects on my site I am fascinated by a ‘something out of nothing’ approach, creating something of worth on something so disposable, giving something 'trash bound' a possible second life, I love contrast. the contrast of taking so long on something so worthless. Something that shouldn’t really be there. 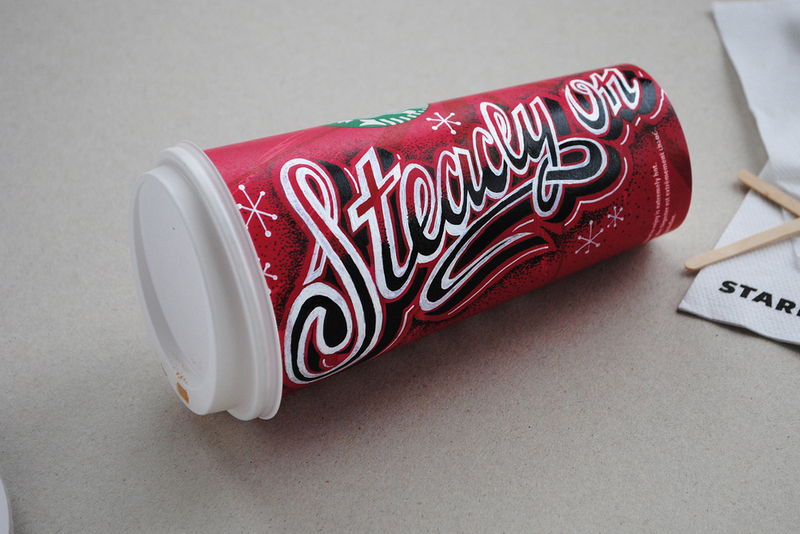 The cups have been featured in numerous style, art, design and culture publications and on blogs and websites worldwide including amongst others Design Taxi, The Daily Mail and UC Quarterly.